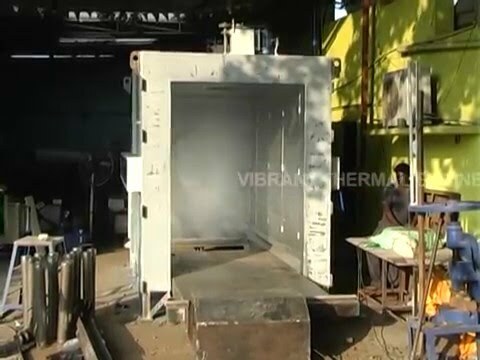 Established in the year 2007, we, Vibrant Thermal Engineering, are one of the leading Manufacturer and Exporter of Industrial Furnaces & Ovens. Our range consists of Industrial Furnace, Bogie Hearth Furnace, Industrial Oven, Pit Type Furnace, Quenching Furnace, Bell Furnace, Forging Furnace, Rotary Furnace, Shell Baking Furnace, Hardening and Tempering Furnace, Heat Treatment Furnace, Continuous Furnace, Non Ferrous Melting Furnace, Laboratory Furnace, Industrial Oven and Dryer, Hot Air Generator, Furnace Spare, Aluminium Heat Treatment. An ISO 9001-2008 Certified Company, British Standard Institute.